Is Your Company Ready for Corporate Blogging? Before I answer this question, let me first define what a ‘blog’ is! A ‘blog’ or ‘weblog’ (its traditional name) is a forum of communication that is usually placed on a website to help inform, educate or create discussion about a given topic. They are powerful because a person can post some information on a topic and (if the owner of the blog allows permission), people can respond and offer comments to the blogs posting. As you can likely guess, a corporate blog can have quite an impact on your company. Here are some of the reasons a company would want to consider developing a blog. To create better communication between the company and its market. To help clarify information on some of your products and services. To increase knowledge about company information or news releases To write articles about a given corporate topic Of course, one of the biggest byproducts of a company blog is that it will help to improve the overall exposure of your company on the search engines. 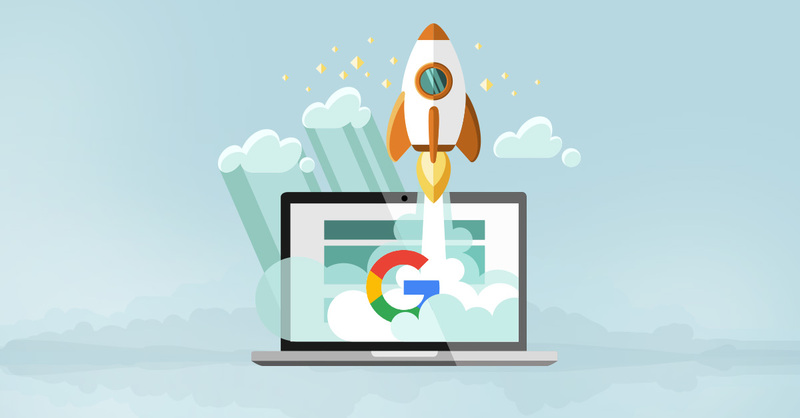 Many companies today ask us at our company, www.techwyse.com, how they can improve their rankings and ensure they have better search engine optimization. Well, creating a blog is certainly not only a fantastic way to communicate with your own consumers, but it also helps create more keyword rich content that is all found on your site. What are the risks of having a blog? If you ensure that your blog is implemented properly, there is really none! By ensuring your permissions are set correctly, you don’t have be concerned about negative comments to a blog In fact you don’t even have to let anyone respond to your posting! The main things you will want to ensure you settle before you post your corporate blog is who is going to take ownership of the blogs writing, and how often can this person (or department) commit to publishing the blog? A poorly maintained blog with few posts can leave the company looking unprofessional so attention must be paid to ensuring the blog is maintained properly! Some corporate blogs of people you may know! If you are a corporate type — it might be time to consider running your own corporate blog. The benefits are numerous! If you have the resources to control, manage and add information on a regular basis then whats stopping you? Get on the blog writing bus! Your audience will appreciate it! I think every company (no matter how small) should have their own blog. This can be used to inform their customers and potential customers about the plans of the company, new product releases and also open a good communication line between the two sides. A blog keeps people in the loop and most will appreciate it and stay faithful to a company (if that company has a good product as well). I think that as long as a business or a corporation is interested in getting new leads, a blog could be useful. As you said a blog can be a place where discussions about certain topics are made. In fact, I believe that by posting new articles to develop these discussions a business can also expand itself in social networks. Blog can not only have an SEO benefit. They can also help business owners be present in social platforms like Twitter and Facebook. 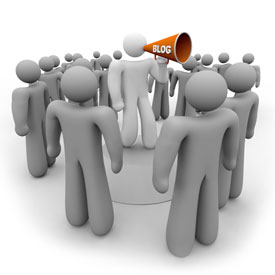 A blog is a great way to gain an audience and get more well known in the internet world. I wouldn’t use a free hosted blog though as it looks unprofessional and isn’t deemed as trustworthy by visitors. WordPress on your own servers is definitely the best way to go for blogging. It is very customizable and most secure blogging software out there. Corporate blogging is one of the best ways to let general public and investors know about what’s happening in your company. More and more companies are realizing the importance of corporate blogging and are making conscious efforts to create high quality blogs. However the companies should ensure that only high quality content gets posted on the blog, after all your corporate blog is like a spokesman who speaks for your company day and night. 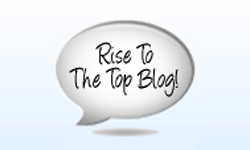 Internet Marketing	The ‘Rise to the Top’ Blog is here!